^ 6.0 6.1 6.2 6.3 6.4 Royal Household. Coronation. Royal events and ceremonies. [28 July 2010]. ^ 7.0 7.1 Monarchs of Great Britain and the United Kingdom (1707–2003). Oxford Dictionary of National Biography. Oxford University Press. 2004 [14 October 2007]. ^ Monarchs of England (924x7–1707). Oxford Dictionary of National Biography. Oxford University Press. 2004 [14 October 2007]. ^ Royal Household. Accession. Royal events and ceremonies. [28 July 2010]. ^ England: Anglo-Saxon Consecrations: 871–1066. [28 July 2010]. ^ Churchill, Winston (1966). The Birth of Britain p.134. Dodd, Mead. ^ Spigelman, J.J. Becket and Henry II: Exile. Fourth Address in the Becket Lecture Series to the St Thomas More Society, Sydney. Sydney: Supreme Court of New South Wales. 8 October 2002 [2 November 2007]. （原始内容存档于26 November 2007）. ^ 24.00 24.01 24.02 24.03 24.04 24.05 24.06 24.07 24.08 24.09 24.10 24.11 24.12 24.13 24.14 24.15 24.16 24.17 24.18 Kershaw, Simon. The Form and Order of Service that is to be performed and the Ceremonies that are to be observed in The Coronation of Her Majesty Queen Elizabeth II in the Abbey Church of St. Peter, Westminster, on Tuesday, the second day of June, 1953. 2002 [28 July 2010]. ^ 26.0 26.1 Velde, François. Order of Precedence in England and Wales. Heraldica. [28 July 2010]. 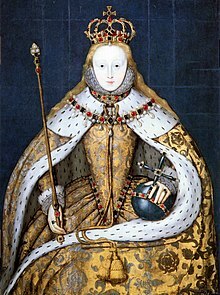 ^ 27.0 27.1 50 facts about the Coronation. Buckingham Palace press releases. 23 May 2003 [28 July 2010]. ^ 28.0 28.1 Maer, Lucinda; Gay, Oonagh. The Coronation Oath (PDF). House of Commons Library. 27 August 2008 [28 July 2010]. ^ Brighton and Hove Museums. Barons of the Cinque Ports. Coronation of George IV. [28 July 2010]. ^ 38.0 38.1 38.2 38.3 38.4 38.5 38.6 38.7 38.8 38.9 Cox, N. The Coronation Robes of the Sovereign. Arma. 1999, 5 (1): 271–280. ^ Rose, Tessa. The Coronation Ceremony of the Kings and Queens of England and the Crown Jewels. London: HMSO. 1992: 100. ISBN 0-11-701361-7. ^ Cox, N. The Coronation and Parliamentary Robes of the British Peerage. Arma. 1999, 5 (1): 289–293. ^ Cox, N. The Coronets of Members of the Royal Family and of the Peerage. The Double Tressure. 1999, 22: 8–13. ^ The College of Arms. The origin and history of the various heraldic offices. About the College of Arms. [21 July 2010]. （原始内容存档于29 July 2010）. ^ History of the Court of the Lord Lyon. [21 July 2010]. （原始内容存档于2009-08-02）. ^ See e.g. (Order of the Bath), No. 20737. London Gazette. 25 May 1847: 1956 [21 July 2010]. (Order of the British Empire) No. 32781. London Gazette. 29 December 1922: 9160 [21 July 2010]. ^ The Scotsman. Lord Lyon gets his crown back. Edinburgh. 13 July 2003 [12 February 2011]. ^ Coronation Oath Act 1688: III. Form of Oath and Administration thereof.. legislation.gov.uk. ^ Carefoote, P.J. The Coronation Bible (PDF). The Halcyon: the Newsletter of the Friends of the Thomas Fisher Rare Books Library (University of Toronto). June 2006 [28 July 2010]. ISSN 0840-5565. ^ 49.0 49.1 Coronation of the British Monarch. Westminster Abbey. [1 October 2007]. （原始内容存档于17 January 2008）. , Image of 'Completed Coronation Theatre' at bottom. ^ Coronation Chair. [7 October 2007]. （原始内容存档于24 October 2007）. ^ The Coronation: An Intimate Ritual (PDF). The Anglican Communion. 2 June 2003 [26 October 2007]. （原始内容 (PDF)存档于2 May 2005）. ^ 52.0 52.1 Royal Household. The Crown Jewels. The Royal Collection and other collections. [28 July 2010]. ^ Coronation Music. [7 October 2007]. （原始内容存档于24 October 2007）. ^ No. 24319. London Gazette. 28 April 1876: 2667 [14 November 2007]. Bates, David. William I (1027/8–1087). Oxford Dictionary of National Biography. Oxford University Press. 2004. doi:10.1093/ref:odnb/29448. Brighton and Hove Museums. Barons of the Cinque Ports. Coronation of George IV. [28 July 2010]. Bruce, Alastair; Calder, Julian; Cator, Mark. Keepers of the Kingdom: the Ancient Offices of Britain. London: Seven Dials. 2000. ISBN 1-84188-073-6. Cox, N. The Coronation and Parliamentary Robes of the British Peerage. Arma. 1999, 5 (1): 289–293. Cox, N. The Coronation Robes of the Sovereign. Arma. 1999, 5 (1): 271–280. Cox, N. The Coronets of Members of the Royal Family and of the Peerage. The Double Tressure. 1999, 22: 8–13. England: Anglo-Saxon Consecrations: 871–1066. [28 July 2010]. Griffiths, R.A. Henry VI (1421–1471). Oxford Dictionary of National Biography. Oxford University Press. 2004. doi:10.1093/ref:odnb/12953. Hilliam, David. Crown, Orb & Sceptre: The true stories of English Coronations. Stroud: Sutton. 2001. ISBN 0-7509-2538-8. Hughes, Anselm. Music of the Coronation over a Thousand Years. Proceedings of the Royal Musical Association, 79th Sess. 1953, 79: 81–100. JSTOR 766213. Keefe, Thomas K. Henry II (1133–1189). Oxford Dictionary of National Biography. Oxford University Press. 2004. doi:10.1093/ref:odnb/12949. Kershaw, S. The Form and Order of Service that is to be performed and the Ceremonies that are to be observed in The Coronation of Her Majesty Queen Elizabeth II in the Abbey Church of St Peter, Westminster, on Tuesday, the second day of June, 1953.. 2002 [28 July 2010]. Matthew, H.C.G. George VI (1895–1952). Oxford Dictionary of National Biography. Oxford University Press. 2004. doi:10.1093/ref:odnb/33370. Monarchs of England (924x7–1707). Oxford Dictionary of National Biography. Oxford University Press. 2004 [14 October 2007]. Monarchs of Great Britain and the United Kingdom (1707–2003). Oxford Dictionary of National Biography. Oxford University Press. 2004 [14 October 2007]. Morrill, John. Cromwell, Oliver (1599–1658). Oxford Dictionary of National Biography. Oxford University Press. 2004. doi:10.1093/ref:odnb/6765. Phillips, J.R.S. Edward II (1284–1327). Oxford Dictionary of National Biography. Oxford University Press. 2004. doi:10.1093/ref:odnb/8518. Prestwick, Michael. Edward I (1239–1307). Oxford Dictionary of National Biography. Oxford University Press. 2004. doi:10.1093/ref:odnb/8517. Ridgeway, H.W. Henry III (1207–1272). Oxford Dictionary of National Biography. Oxford University Press. 2004. doi:10.1093/ref:odnb/12950. Rose, Tessa. The Coronation Ceremony of the Kings and Queens of England and the Crown Jewels. London: HMSO. 1992. ISBN 0-11-701361-7. Royal Household. Accession. Royal events and ceremonies. [28 July 2010]. Royal Household. Coronation. Royal events and ceremonies. [28 July 2010]. Royal Household. The Crown Jewels. The Royal Collection and other collections. [28 July 2010]. Strong, Sir Roy. Coronation : A History of Kingship and the British Monarchy. London: HarperCollins. 2005. ISBN 0-00-716054-2. The St Andrews Fund for Scots Heraldry. The Lord Lyon's Crown. [3 November 2007]. （原始内容存档于2008年1月17日）. van Houts, Elisabeth. Matilda (d. 1083). Oxford Dictionary of National Biography. Oxford University Press. 2004. doi:10.1093/ref:odnb/18335. Velde, François. Order of Precedence in England and Wales. Heraldica. [19 October 2007]. Maer, Lucinda; Gay, Oonagh. The Coronation Oath (PDF). House of Commons Library. 27 August 2008 [28 July 2010]. 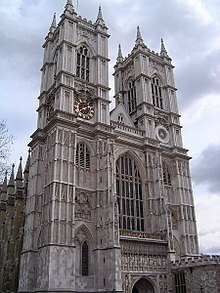 Westminster Abbey. Coronation Chair. [7 October 2007]. （原始内容存档于24 October 2007）. Westminster Abbey. Coronations. [7 October 2007]. （原始内容存档于18 October 2007）. Westminster Abbey. Coronation Music. [7 October 2007]. （原始内容存档于24 October 2007）. Woolley, Reginald Maxwell. Coronation Rites. Cambridge: Cambridge University Press. 1915. 50 facts about the Coronation. Buckingham Palace press releases. 23 May 2003 [28 July 2010]. Coronation of Her Majesty Queen Elizabeth the Second : minutes of the proceedings of the Court of claims. Crown Office. 1952. Music for the Coronation. The Musical Times. July 1953, 94 (1325): 305–307. JSTOR 933633. doi:10.2307/933633. "Coronation." (1911). Encyclopædia Britannica, 11th ed. London: Cambridge University Press. King of Arms. Chambers's Encyclopædia: A Dictionary of Universal Knowledge for the People. Edinburgh: W & R Chambers: 796–7. 1863. "Lord High Constable." (1911). Encyclopædia Britannica, 11th ed. London: Cambridge University Press. "Lord High Steward." (1911). Encyclopædia Britannica, 11th ed. London: Cambridge University Press. Forty-minute RealPlayer video of excerpts from the coronation in 1953. Lord Wakehurst's Long to Reign Over Us, Chapter Three: The Coronation, from The Royal Channel, YouTube.